Ofc. John Reeves has been employed with Charlotte-Mecklenburg Police Department for 20 years. 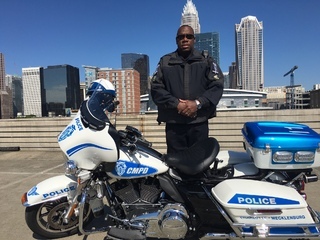 After completing Basic Police Motor Cycle Training in March, 2012 he joined the CMPD Motor Unit.